Blood donation is a noble act but one has to be careful as it plays with the lives of people. 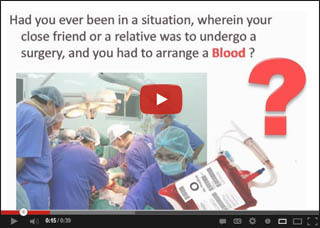 The donor as well as the recipient of that blood will have to be very careful. 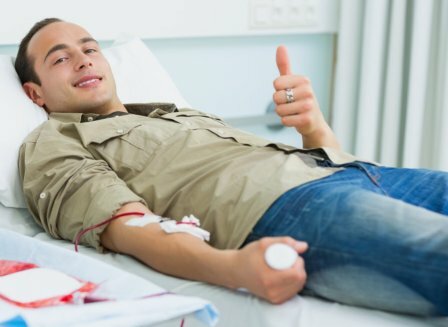 There may be some points to consider for the blood donors like not consuming alcohol 48 hours before donating blood, avoiding smoking on the day of donation - one can smoke 3 hours after the donation, having a good meal 3 hours before blood donation and accepting sugar and glucose offered immediately after donation and also one should have a good healthy meal later after the blood donation. There are also many misconceptions about blood donation which stops even the educated mass from participating in this noble cause. There is a myth that one will feel drained and tired after donation but it is not so, if one continues to have fluids and a good meal for the day. Although one is asked to refrain, all the normal activities can be resumed on the day of donation itself. The silly notion of having less blood can be nullified by the fact that doctor has given permission to donate blood as it is permitted only when people have surplus blood after donation and there is no harm for the donor. Those who do not donate blood because they cannot consume alcohol should be aware that they can have alcohol intake from the next day of donation. Also, there is no faintness, dizziness or pain during or after donating blood. 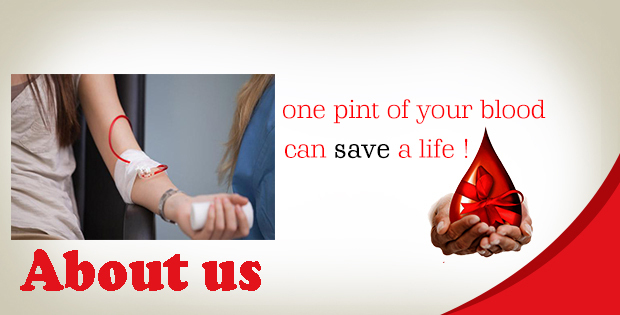 It is very much possible that one may be afraid to get AIDS but it should be known that every blood donation center takes care of the safety and hygiene of the donor and one should be alert about the usage of disposable syringes and the measures to keep the donor germ free. The most common excuse one can hear about not donating blood is that it is a very common type and hence there would not be much demand for it but on the contrary, it should be understood that as it is very common, there is a greater demand for it than the rare type of blood. Though it is always ensured that the health of the donor restored on the day of blood donation itself, there may be some side effects which are pretty rare. Blood transfusion of about one pint is done every time at a 3-monthly interval. As the lost blood is replenished within a day and the bone marrow takes a few weeks to replace lost blood cells, slight dizziness or light-headedness may be felt which will subside on its own. 11% teenagers are most likely to suffer side effects like stiffness in joints, nausea and convulsions, fainting and falling, tingling sensation in lips or nose, sweating and chills, stress etc. One should consult a physician if these symptoms do not subside on their own in a day.